When Europeans arrived in the Kimberley with their sheep and cattle Aboriginal people were often driven away from their own country, killed or gaoled for killing stock, or forced to work. Many people had nowhere to go. The government’s answer was to set up ration stations like Moola Bulla and Violet Valley where Aboriginal people could be sent to live and work in return for food and clothing. With the idea of protecting Aboriginal people from some of the worst abuses, the churches began to set up missions where people could live and work and learn about Christianity. The government encouraged the missions in this work. Under the WA Aborigines Act of 1905 it became illegal for Aboriginal women to live with non-Aboriginal men, and any children of mixed race could be taken to institutions and missions. By 1958 about 25 per cent of all Kimberley Aboriginal adults and 45 percent of all Kimberley Aboriginal children were living in missions. In the late 1950s the government set up town hostels for Aboriginal children where they could stay while they went to school. Those children who were considered to have a suitable home were allowed to go home during the holidays. Other children lived permanently at the missions and hostels. This system continued in the Kimberley until the 1970s. Many Kimberley Aboriginal babies were adopted or fostered by white families all over Western Australia. In 1995 the Human Rights and Equal Opportunity commission held an inquiry into the separation of Indigenous children from their families. Members of the commission came to the Kimberley and over 400 people attended hearings in Broome and Hall’s Creek. As a result of the inquiry Stolen Generation working groups were formed in each Kimberley town. In 1996 the Kimberley Stolen Generation Committee was formed with representatives from all the working groups. 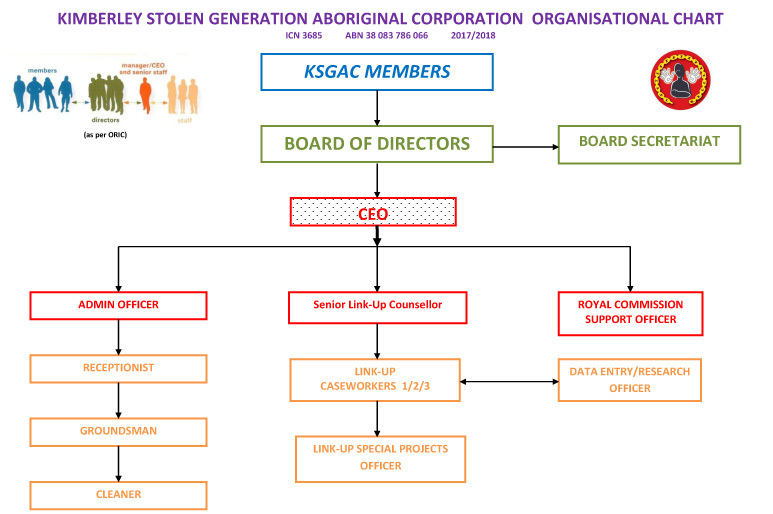 The committee was incorporated in 2001 as the Kimberley Stolen Generation Aboriginal Corporation (KSGAC). Kimberley Stolen Generations Aboriginal Corporation (KSGAC) interprets the term Stolen Generation as meaning removal from family, language, culture and country and its associated impact on identity. (KSGAC) acknowledges the devastating impact on the mothers. Link-up: The chains are family links. White hands symbolise the European presence and taking of children. Woman and baby represents the love and loss between mother and child. Concept by Kimberley Stolen Generation Members. Based on painting by K.S. Mc Guire 2001. The native hibiscus has been adopted as the national emblem of the Stolen Generations. The five-petal Native Hibiscus symbolise the scattering of the stolen generations and their resilience to the eugenic policies of Australia. Its colour denotes compassion and spiritual healing. 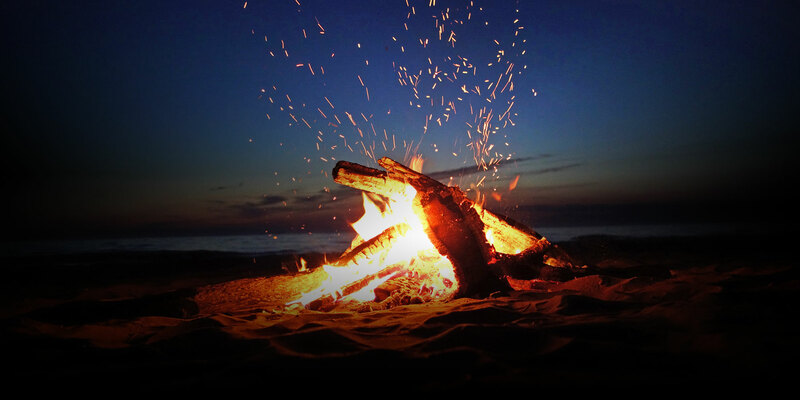 KSGAC will serve the members and others accepted as from the Kimberley Stolen Generations, and enhance their social, emotional and economic wellbeing. KSGAC has a constitution which includes the governance matters required by government. Most importantly the KSGAC constitution also includes our credo (shared beliefs) and a commitment to working with others in accordance with the Nolan principles. Ongoing development of KSGAC satellites across the Kimberley is expected, so that there will always be strong representation for the Kimberley Stolen Generations.